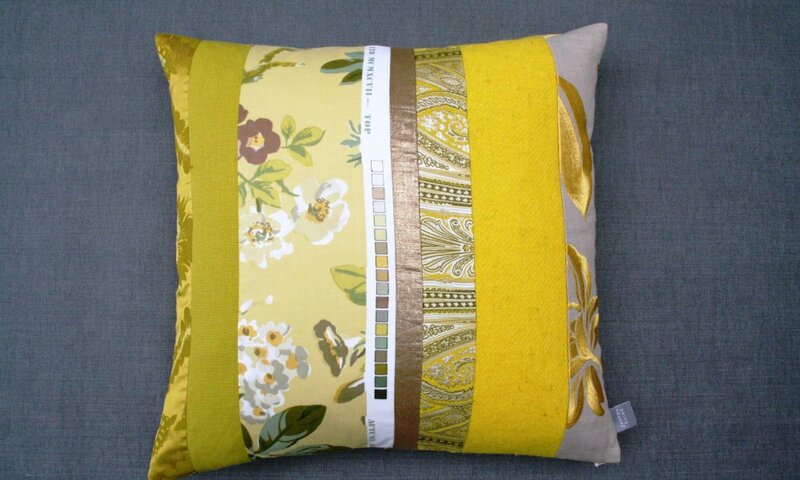 45cm square cushion in tones of yellow lime and gold taking inspiration from the printed selvedge strip. 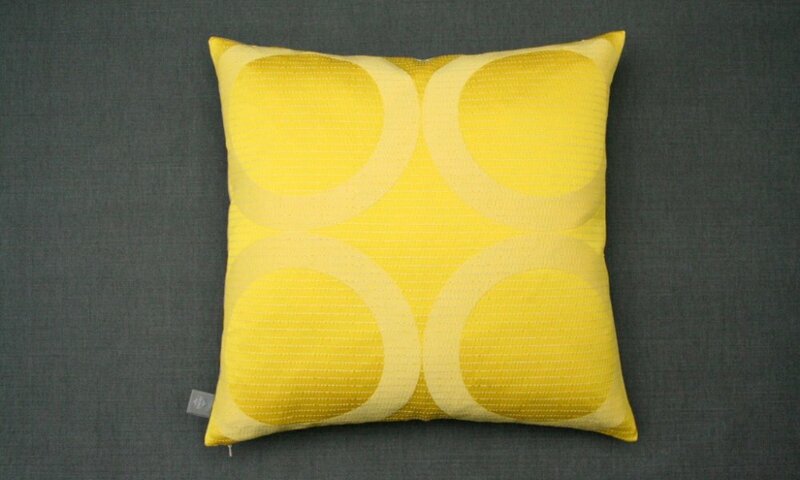 Cushion has a striking yellow circle design on the reverse. Concealed zip, feather pad and brand label. this cushion is dry clean only. Each edge canary cushion will use the same colours, but the fabrics will vary due to availability creating a unique cushion every time.